Responsibility of being an older sister or brother can be very stressful. 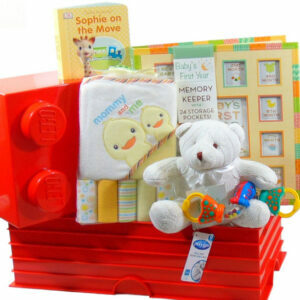 Adding a gift for an older sibling would make them feel very important and happy with the new addition to the family. 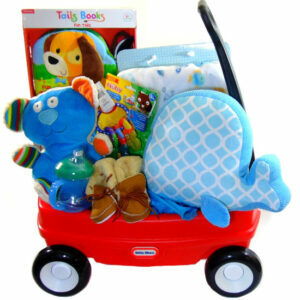 Siblings will receive a gift basket while the baby is also receiving a baby gift basket. Also, with some of our unique baby gift baskets are for the two. 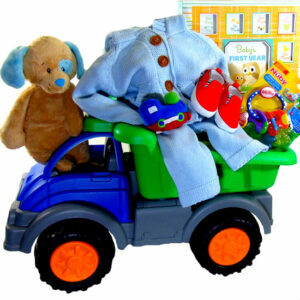 Little Tikes Wagon. Muskoka Chairs. 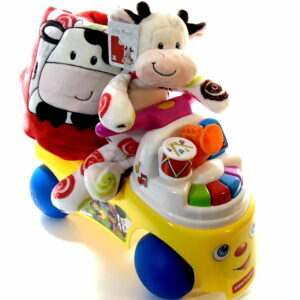 Fisher price bike & Giant Truck are toys for siblings to play with, the baby items inside are for the new baby.